White Boy Rick (film, 2018). A 2018 American biographical crime drama film with "R" rating by Sony Pictures Releasing/Columbia Pictures. Directed by Yann Demange. Official Trailer. White Boy Rick is a 2018 American biographical crime drama film directed by Yann Demange. 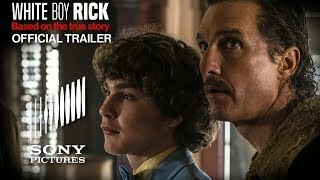 WHITE BOY RICK - Official Trailer (HD). Richard "Rick" Wershe Jr. / "White Boy Rick"
Principal photography began on March 14, 2017. 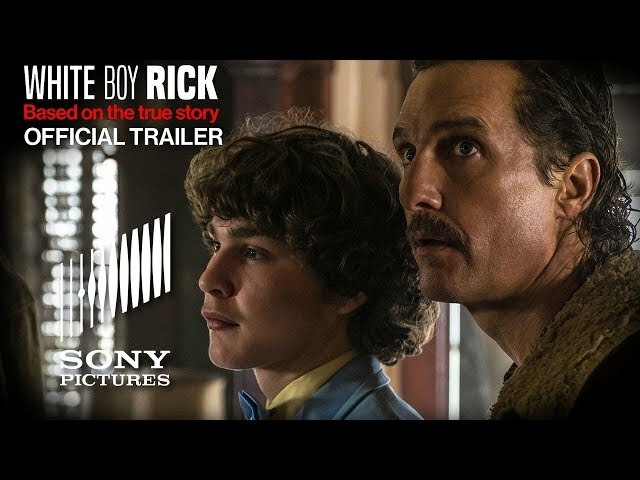 The film White Boy Rick was scheduled to be released by Sony Pictures Releasing and Columbia Pictures on August 31, 2018 (Telluride), on September 14, 2018 (United States), on December 7, 2018 (United Kingdom) and on March 7, 2019 (Germany). The duration of the film is 111 minutes. With a budget of $29 million, the film grossed over $25.8 million. White Boy Rick got average rating from critics. But the audience likes the film. Audiences polled by CinemaScore gave the film an average grade of "B" on a scale ranging from A+ to F.